Decorating your nursery, or a corner of your room, is such a great way to make your pregnancy feel “real” and get your partner involved. Nesting plays an important part in every woman’s pregnancy, and purchasing a crib is one of the biggest moments of your baby preparations. Buying the perfect crib isn’t always easy, though. There is such a large variety of cribs and various styles on the market. How do you know what’s the best crib for you and your needs? I’m here to break it down for you, so that you can make the best decision for you and your new family. There are numerous choices when it comes to selecting a crib for your baby. Many new parents have a vision of a traditional crib with a drop-side or fixed-side. It’s important to consider the safety risks of different designs so that you are aware of any problems and the benefits as well. It’s often a surprise to many people when they learn that drop-side cribs are now illegal in the United States. This is due to the drop-size hardware malfunctioning and leading to possible injuries and even fatalities. Traditional Cribs – also called fixed-side cribs – have four walls on each side that remain present throughout the entire life of the crib. While they are often priced lower than other options, they are a fantastic choice for parents seeking safety and style. 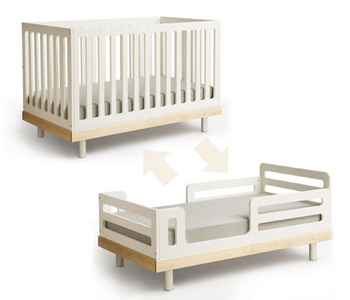 Rounded cribs offer a very unique design than other choices with their long and circular shape. These cribs offer a great view for babies to peer around in every direction and can typically be converted into a day-bed later on. Unfortunately, they can be a bit pricey. Plus, you have to get a rounded mattress, rounded crib bedding… And this can drive the price up. Convertible cribs are often considered the best value when shopping for cribs. Not only can these cribs be a safe choice to use while your child is an infant, many of these cribs convert to a toddler bed, day bed, and even twin bed as your child grows up. They can be more expensive, but they give you more bang for your buck in the long run. Keeping your baby safe and healthy should be a number one priority when choosing a crib. It is typically recommended to avoid any used cribs due to missing hardware, possible recalls, or a minor malfunction. Purchasing new may cost a little bit more money than used, but you can feel confident knowing it is safe for your infant. Another important thing to consider when checking the descriptions of different cribs is the spacing of the slats. 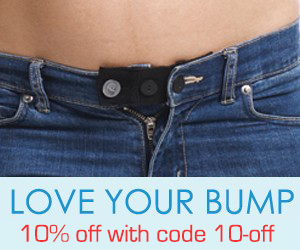 They should be no more than 2 and 3/8 inches apart in order to prevent little legs or arms getting stuck inside. In fact, many parents purchase soft bumpers to be attached to the sides to ensure that their baby doesn’t get limbs wedged outside. Lastly, the exact location of the crib in a room should be carefully thought out before the baby arrives. While curtains draping over a bed may look lovely, any hanging objects should be kept out of reach from the crib. This also includes any lamps or cords. Choosing a new crib for your baby can be a bit overwhelming with all of the fantastic options on the market. All great parents want the very best for their new addition, so it’s useful to consider all of the different styles of cribs. Understanding the pros and cons of different beds will help you decide what is best for you and the space you have. Being cautious of safety hazards and other risks can help you avoid particular beds and point you towards ones that are going to be safe for your baby to use. Cribs are available online – from Overstock, Amazon, and any other websites that sell furniture. 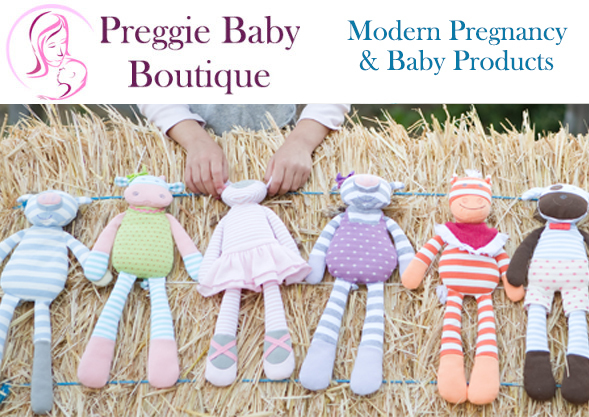 You can also find them at online retailers that sell baby products. If you’d rather shop in a store, you can head to any baby supermarket – like Babies R Us – or even your local Walmart and Target, and you’ll be able to see a nice selection of cribs. Ian B writes for Design 55 Online which specializes in Umbra homeware. Nice Ideas about Baby Furniture. Safety and comfort really matters when its about choosing furniture for your baby. Thanks for sharing with us. Next post: Should You Buy a Handheld Doppler? Previous post: Pregnant with a Piercing – Now What?